I'm not sure exactly who owns the Parthenon and its fragments if not the people who built them, but according to the Greek Reporter today, the British Museum which has been housing stolen sculptures from the Parthenon that were taken 200 years ago, aka the "Elgin Marbles," had the audacity to claim that the pieces don't actually, legally belong to people they were taken from, since they were, according to the museum, legally given over to a one Lord Elgin by the Ottomans in the early 1800's. This, of course, would be fine if the Ottomans actually had legitimate claim to the Greek lands. They didn't. The Ottomans were not ethnic Greeks, and they did not build the Parthenon. 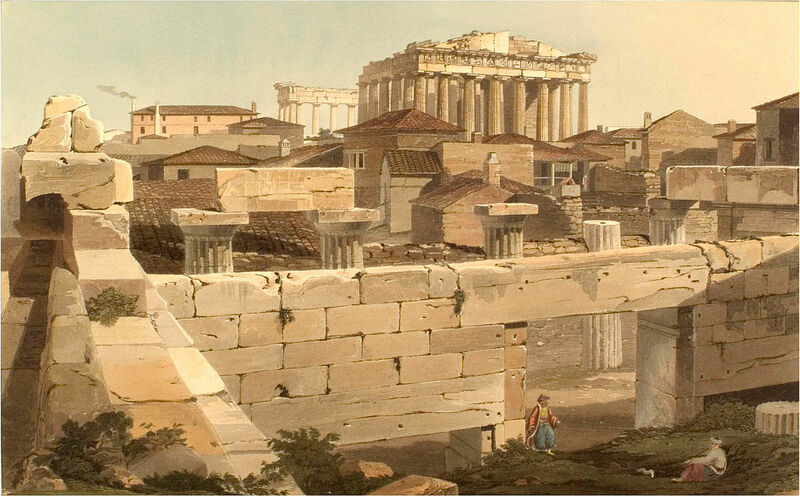 In fact, shortly after Lord Elgin was said to have been given the pieces of the Parthenon, the Greek people launched the Greek Revolution and broke free from the Ottoman Empire. So when it comes to the Parthenon fragments, the situation is basically the same as your captor selling off your possessions as a legitimate trade, when obviously, you have no power to say no. It wasn't theirs to give, period. Of course, the Greeks of the time weren't the same ones who built the Parthenon either, or ones who had legitimate claim to the ancient structures, but they still had more of a right to keep them in the Greek country than anyone else. While it may be legal for the museum to keep the pieces, it certainly isn't ethical, and they know it. The ancient Greek heritage has been destroyed and plundered for 2 millennia, but that doesn't seem to matter to the Brits, who would clearly rather keep the stolen property because they're still making money off it. Although the British people, to their credit, mostly support the return of the pieces to Athens by 69%. Like in many cases throughout history, the government and the people support two different paths. I think it's time to fully restore the Parthenon myself. She has suffered through centuries of persecution and destruction, but yet her main frame is still standing. She's a magnificent example of ancient architecture, spirituality, and resilience. This latest refusal to return to the Greek people what is theirs, of which there have been many refusals throughout history, is just another example of the oppression that the ancient people have endured and continue to struggle against. It's time for the modern world to do the right thing and pay it back.